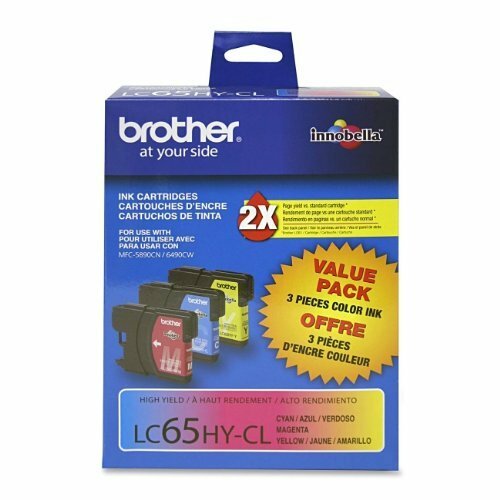 Brilliantly colored ink cartridges produce photo-quality, vivid prints. Newly developed ink formula provides light-fade and ozone-fade resistant print and graphics. Meticulously tested, consistent, high-viscosity ink ensures easily regulated, clog-free ink flow and even ink distribution. Anti-smearing ink is optimized for Brother® multifunction peripherals. Global Product Type: Inks & Toners-Ink Cartridge; Supply Type: Ink Cartridge; Color(s): Color; Device Types: Fax.